Discussing the role of race and racism plays in birth outcome disparities can be difficult. A diverse, effective, and progressive coalition can be an effective setting to facilitate these conversations. Prior to developing and implementing an equity-focused intervention, historical and contemporary racism must be considered not only among the coalition, but also within participating organizations and the community(ies) the intervention will affect. The Equity Institute views race as both a social construct and a social determinant of health. While your local maternal and child health data will identify where a community’s disparities lie, history will tell you why those disparities exist. Racial and ethnic disparities in birth outcomes are often the result of centuries of structural racism that has provided inequitable opportunities for all citizens to thrive. This section provides numerous resources that your coalition can use to nurture the knowledge base, as well as resources to guide discussions you will, and must, have with your organizations and community(ies). The following topics will lead you through information on how to consider the role of race and racism. Please use the Read More links to learn about each step and for additional resources. The United States has a long and deep experience with racism, and its complex intergenerational effects continue to deny many communities of color an equitable opportunity to achieve good health. To locate resources used by Equity Institute teams to nurture their knowledge and share with local communities, click on Read More below. Fullilove, M.T. (2004). Root shock: How tearing up city neighborhoods hurts America, and what we can do about it. New York, NY: Ballantine Books. Information on "root shock." Fullilove, M.T. & Wallace, R. (2011). Serial forced displacement in American cities, 1916-2010. Journal of Urban Health, 88(3), 381-389. Northridge, M. E. (Ed.). (2011). Supplement Issue: Environmental justice and disparities in environmental health. American Journal of Public Health, 101 Supplement 1, S1-S364. Northridge, M. E. (Ed.). (2013, June). Issue: Economic policy and public health. American Journal of Public Health, 103, 961-1152. California Newsreel (Producer). Unnatural causes… is inequality making us sick? [Documentary series]. Fleming, M. (Ed.). (2002). A place at the table: Struggles for equality in America. Wise, T. (2011). White like me. Berkeley, CA: Soft Skull Press. Wise, T. (2009). Between Barack and a hard place. San Francisco: City Lights Books. Dyson, M. E. (2005). Come hell or high water: Hurricane Katrina and the color of disaster. New York: Basic Civitas. Jaspin, E. (2007). Buried in the bitter waters: The hidden history of racial cleansing in America. New York: Basic Books. Coates, T. (2015, October). The black family in the age of mass incarceration. The Atlantic. Allegories on Race and Racism – Dr. Camara Jones. Beyond the history books, there is a contemporary context in which racism lives, including the debate of the construction of race and the way communities live, work, and play in the 21st century. Equity Institute teams were exposed to some of the principal U.S. thinkers in the areas of race, racism, and privilege. Click Read More for tools developed by some of the most critical thinkers of our time. Jones, C. P. (2000). Levels of racism: A theoretic framework and a gardener’s tale. American Journal of Public Health, 90(8), 1212-1215. McIntosh, P. (1989). White privilege: Unpacking the invisible knapsack. Peace and Freedom, Jul/Aug. Dyson, M. E. (2007). Debating race with Michael Eric Dyson. New York: Basic Civitas Books. Tochluk, S. (2010). Witnessing whiteness: The need to talk about race and how to do it. UK: Rowman & Littlefield Education. West, C. (1993). Race matters. New York: Vintage. Kivel, P. (2011). Uprooting racism: How white people can work for racial justice. (3rd Ed.). Gabriola Island, BC: New Society Publishers. Tatum, B. D. (2003). Why are all the black kids sitting together in the cafeteria: And other conversations about race. (5th Ed.). New York: Basic Books. Coates, T. (2015, July). Letter to my son. The Atlantic. The term “birth outcomes” is a broad one and includes maternal, fetal, and infant outcomes from conception through the infant age of 1 year. Outcomes, positive and negative, are the result of complex and varied causes that can start years, even generations, before a woman conceives. 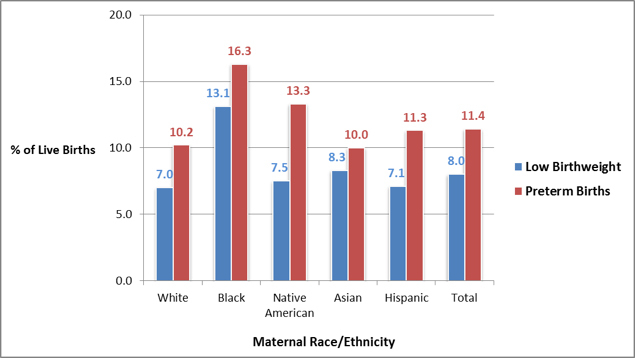 In the U.S., race and ethnicity are a determinant of birth outcomes. Women of color and their infants experience higher rates of morbidity before, during, and after pregnancy; and women of color are at higher risk for death during or following a delivery. To read more about these disparities, click Read More. Source: Gilbert, C. & Miles, A. (2014, January). 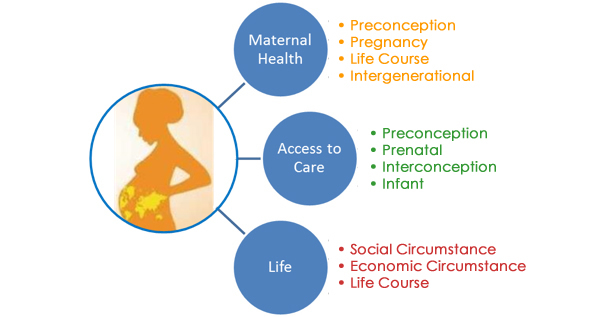 Overview of birth outcomes, inequities, and evidence. Presented at the CityMatCH Equity Institute Training, New Orleans, LA. Source: National Center for Health Statistics, period linked birth/infant death data. Retrieved December 2, 2015, from www.marchofdimes.org/peristats. Lu, M.C., Kotelchuk, M., Hogan, V., Jones, L., Wright, K. & N. Halfon. (2010). Closing the black-white gap in birth outcomes: A life-course approach. Ethnicity & Disease, 20. Barnes-Josiah, D. L. (2004). Undoing racism in public health: A blueprint for action in urban MCH. Omaha, NE: CityMatCH. Rosenthal, L. & M. Lobel. (2011). 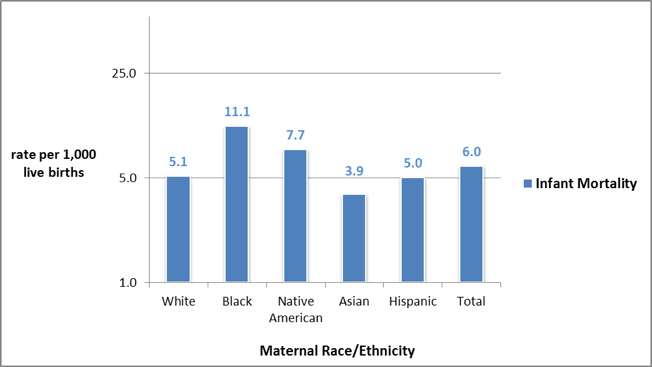 Explaining racial disparities in adverse birth outcomes: Unique sources of stress for Black American Women. Social Science & Medicine, 72(6): 977-983. 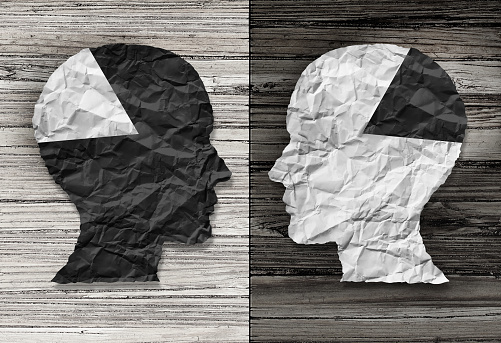 Conversations about racism and health disparities are crucial conversations, but are often difficult, painful conversations to start and maintain. As part of CityMatCH’s racial healing work with member communities in Nashville and Memphis, TN, a facilitation guide was developed to provide suggestions for hosting difficult conversations. Conversations that Matter: A How-to Guide for Hosting Discussions about Race, Racism, and Public Health is available as a guide for coalitions to sensitively and honestly talk about the complex social constructs of racism, classism, and White privilege. Additional resources that may help your coalition talk with communities about race, place, health, and the socio-economic impacts of racism can be found by clicking “Read More” below. The Anne E. Casey Foundation. (2006). Race Matters: How to Talk About Race. Bowens-Wheatley, M., Jones, N. P. & Unitarian Universalist Association. (Eds.). (2002). Soul work: Anti-racist theologies in dialogue. Boston: Skinner House Books. Brown, C. (1996). Healing Prejudicial Attitudes in Intergroup Conflicts: The NCBI Controversial Issue Process. Fall 1996 National Institute for Dispute Resolution Forum. Foster, B. & Stephenson, M. (2015). A Conversation With White People On Race. The New York Times. Goodman, A. (2010). Storytelling as best practice (5th ed.). Los Angeles, CA: a goodman. Sheared, V., Johnson-Bailey, J., Colin, S. A. J. III, Peterson, E., Brookfield, S. D., Cunningham, P. M. (Eds.). (2010).The handbook of race and adult education: A resource for dialogue on racism. San Francisco: Jossey-Bass. Waller, J. (1998). Face to face: The changing state of racism across America. New York: Basic Books. Frameworks Institute. (2009). You say/they think: Handling competing frames. Talking about disparities toolkit. Frameworks Institute. (2009). Message templates. Talking about disparities toolkit.